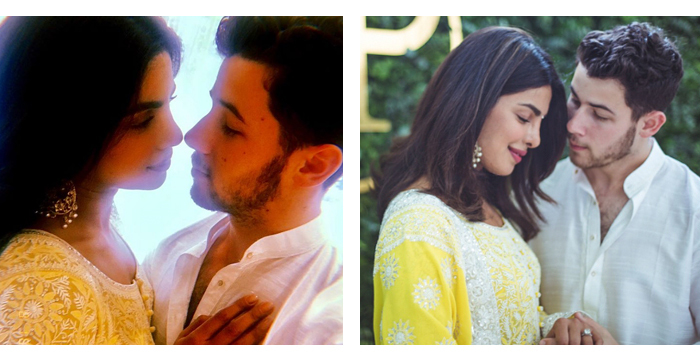 She’s a former beauty queen and Bollywood royalty (not to mention BFFs with actual British royalty), he is one of America’s biggest heartthrobs. Priyanka Chopra and Nick Jonas’ whirlwind romance could be straight out of a Hollywood/Bollywood movie plot. The two have been making headlines since they officially became an item, but even more so after getting engaged after just two months of dating. The duo first stirred the paparazzi’s interest at the 2017 fashion-focused annual party. Later, in an interview with Jimmy Kimmel, Priyanka that they attended the glitzy do together “just as friends”. Hmm. 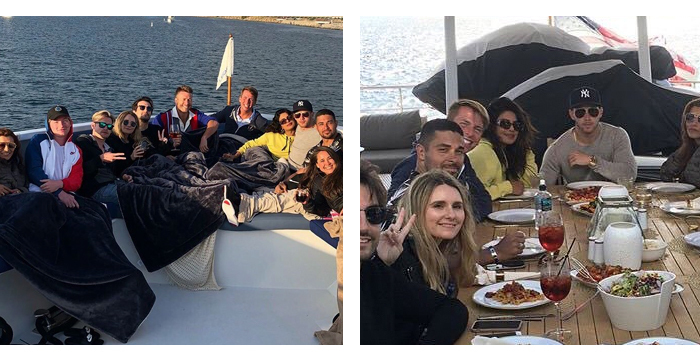 The couple next resurface publicly a good few months later, hanging out on a yacht with friends. 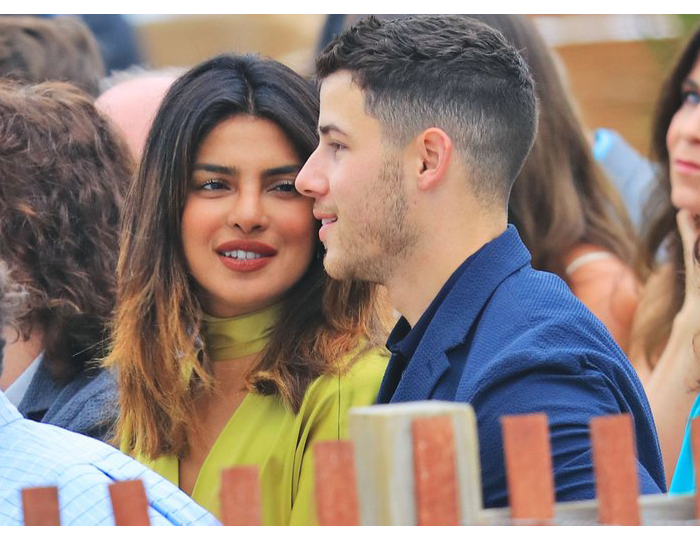 Spot Priyanka in the yellow jumper – right by Nick’s side, obv. They were also seen at the Hollywood Bowl for Beauty and the Beast Live and a Dodgers baseball game. 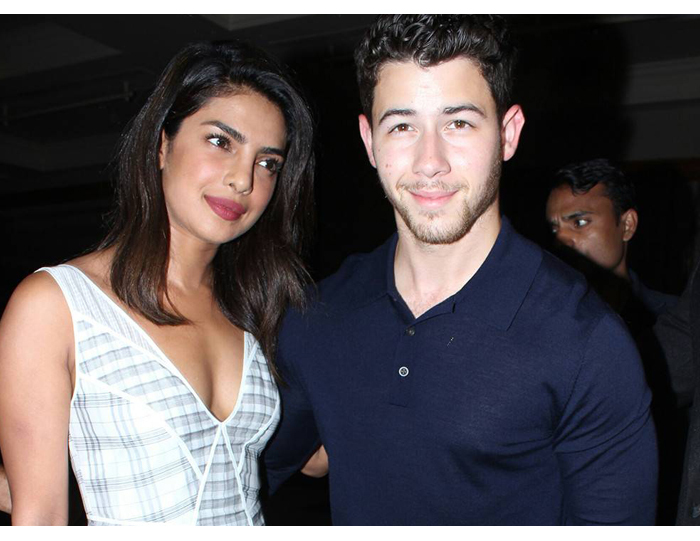 Nick takes Priyanka as his plus one to a cousin’s wedding. If he’s introducing her to the family you know things are really getting serious! Plus, just look how adorably smitten she is with him! This, readers, is the face of a woman in love. Things are moving at breakneck speed – after intense spells of hanging out and cute social media comments on each other’s Instagrams, PC takes Nick to India to meet her mother Madhu. Anyone who has introduced or been introduced to an Indian mother knows just what A Big Deal this is. An engagement seems imminent. The A-List couple are now undeniably together. 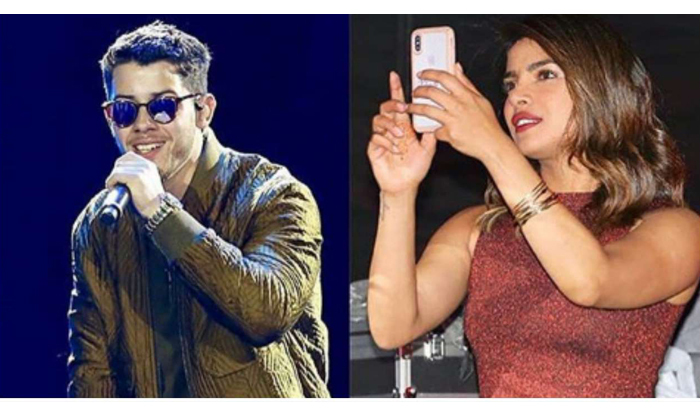 If you were in any doubt, after flying back from India, Priyanka follows Nick on tour to Brazil, fangirling like crazy from the crowd and InstaStorying every second of his packed-out Villamix festival gig with loved up emojis. On her 36th birthday in London, Jonas goes on bended knee to pop the Big Q to the former Miss World. Rumour has it Nick closed down a Tiffany & Co shop so he could shop for the perfect rock in peace. She says yes! The Jonas family heads to Mumbai for the Roka and engagement bash at PC’s family home. Dressed simply in canary yellow and white, the pair look so loved up you'd have to be dead inside to not be happy for them. They officially announced their engagement to the world - and break thousands of their fans' hearts (sorry, not sorry) - by uploading the same picture with the sweetest, heartfelt captions. Aww, you guys! They finish with an epic party with most of the Bollywood glitterati on the guest list. A second ‘welcome to the family’ party, if you will. We can't wait to see the beautiful PC as a bride. Hopefully it won't be too long now!